Hello loves! 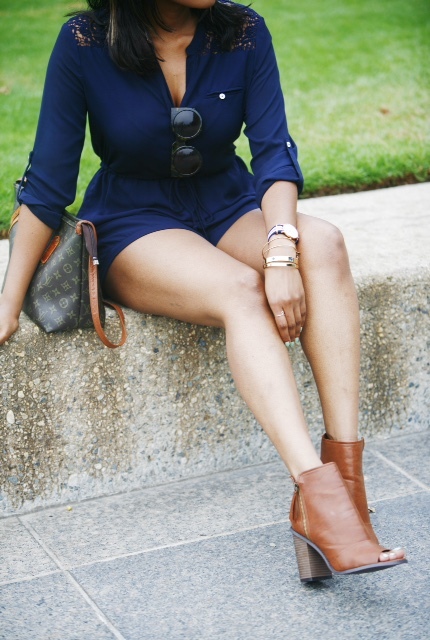 Today I am sharing this navy romper that have been sitting in my closet for a while now. I have worn it a few times but haven't blogged it. I love the versatility of navy. You can wear it every season. It is also such a classic color. As you can tell, my style is quite the minimalist so I only added a few accessories. 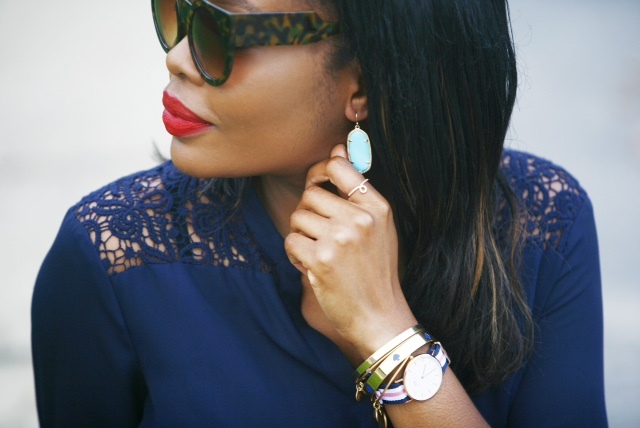 These gorgeous Kendra Scott earrings that came in my recent ROCKSBOX set. (to get a free set, use this code: styleweekenderxoxo. Can we talk about these boots? They are from Forever21 and I must admit, they look like many of the high-end brands and they are extremely comfortable. I shall live in them in the Fall. How are you styling your rompers this summer?